Thursday, December 21, 1911: Had to go to Watsontown again this week. This time to get that hat pin for Besse. This week seems to be flying around rather fast. Tomorrow Rufus arrives. Then my long siege of milking will be ended. Yeah, Grandma’s sister Ruth–referred to as Rufus in this entry– was coming home and Grandma won’t need to do all of the milking by herself! Grandma mentioned getting up at 5 a.m. to do the milking on the 18th. Ruth was attending a teacher professional development institute. Grandma also mentioned on the 18th that she’d bought a gold hat pin for her married sister Besse. She must have needed to go back to town to actually pick up the pin. 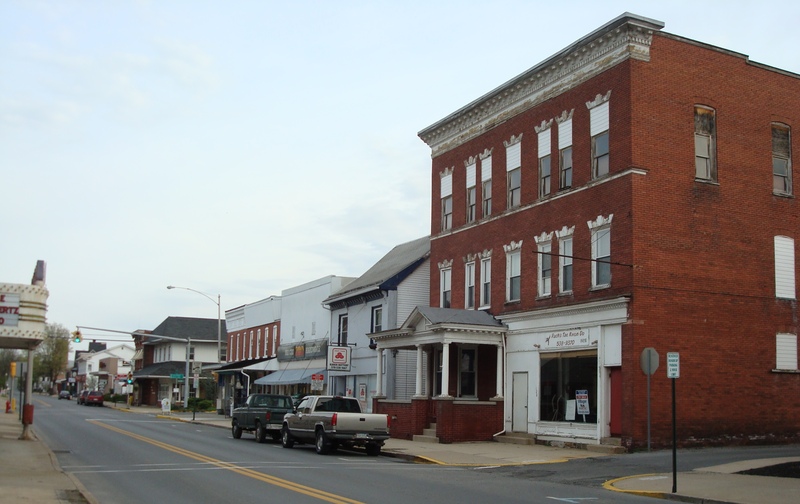 Watsontown is located along the West Branch of the Susquehanna River about two miles from the Muffly farm. It had more of a shopping district a hundred years ago than it does today. Posted on December 21, 2011 December 20, 2011 by SherylPosted in OtherTagged 100 years ago, 1911, diary, hundred years ago. I see the week before Christmas went quickly a hundred years ago just as it does today.